Our sixth stop this year will be to Hawaii! 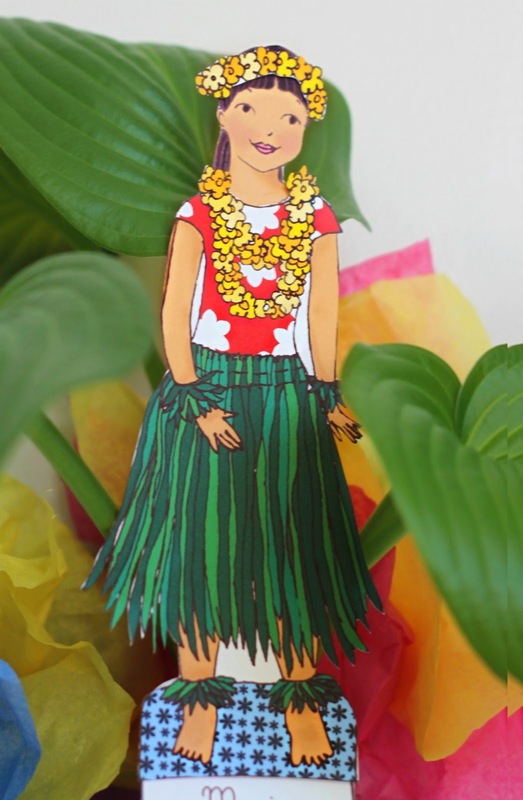 "Hula dancing is the traditional art of movement, smooth bodily gestures and vocals. You may notice that Hula Dancing seems to have an incredibly smooth "flow" and the movements are extremely fluid. These movements are said to actually tell a story or represent movements of nature such as trees blowing in the wind or fish swimming smoothly in the ocean." 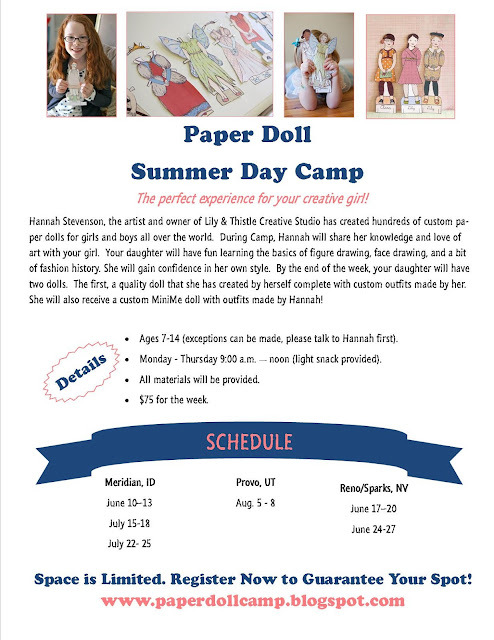 Next Monday is the first day of the first Paper Doll Day Camp series! I bought all of the supplies last night. We are ready with lots of quality paper, pens, watercolor pencils, treats, etc.! It is going to be such a blast! There are still spots open in all of slots so if you've been thinking this would be fun for a daughter, grand daughter etc. Just go HERE to sign up! We just came back from Hawaii a little less than two weeks ago. We were so fortunate to be there for the King Kamehameha Celebrations which included a huge procession of dancers from the Polynesian Cultural Centre. They were incredible! There's a lot of great things to do with the kids - something to suit everyone and every budget, from educational activities like museums, the zoo, etc. to adventure activities like helicopter rides and parasailing to just splashing around at the beach and making sandcastles.